It has been too long since I have updated my blog. Needless to say I have been spending a lot of time on the water both around Kamloops and fishing waters in the southeast corner of the province. Overall it has been a pretty good spring season although unsettled weather seems to have been the norm. It has been a long time since we have had more than a day or two in a row of good weather and a stable barometer. 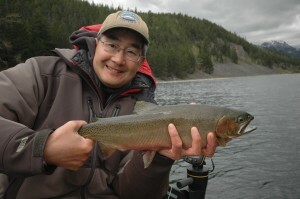 I have also been busy filming shows for The New Fly Fisher, Sport Fishing BC and Sport Fishing on the Fly. 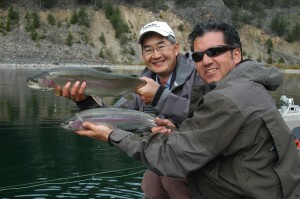 Don Freschi and I had 4 days of great fishing and filming in the Fernie area during mid-May and prior to that I filmed 2 shows with Mark Pendlington on Morgan and White lakes near Kamloops. Phil Rowley and I also did an episode of The New Fly Fisher on urban trout lakes in the Nanaimo area of Vancouver Island. Add some guiding and personal fishing time and the whole spring has been a blur for me. Chironomid emergences are still going strong as well as the start of Callibaetis mayflies, damselflies and early caddisfly hatches. Bringing smiles to everyone in the boat!! 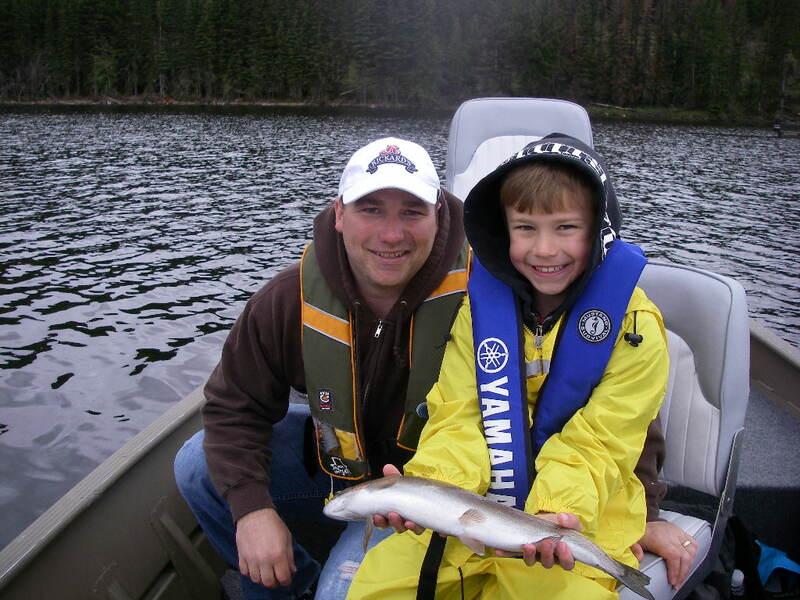 A happy father and son first time fly fishing!! 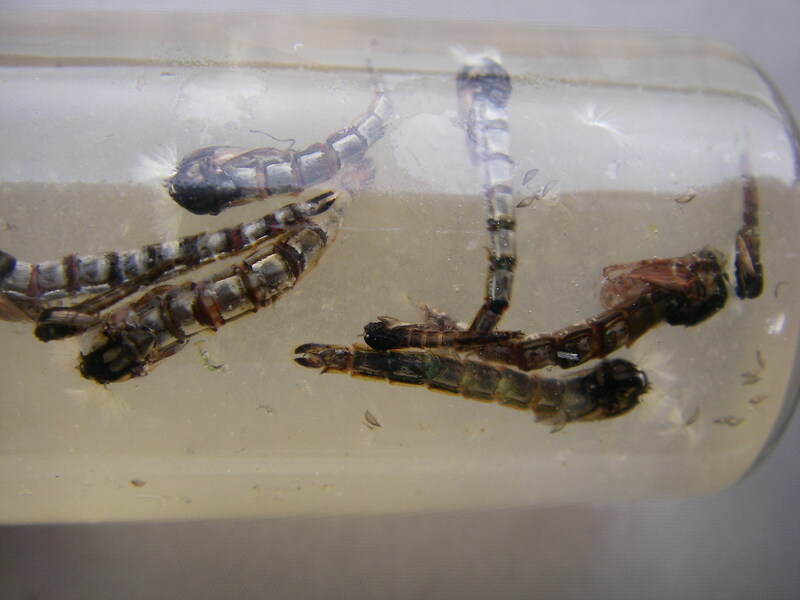 2 Responses to "An Update on my Fishing Activities"
Right now,the chironomids are hatching in deep water ie. 55-85 ft. Shallow water hatches have not started but could any time now. This is more of a normal year for water temperatures so the last two weeks of June should be prime chironomid, mayfly and the start of caddis. 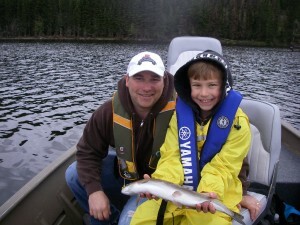 Brian, I plan to fish the Lake Sherdian area this spring, LATE MAY OR JUNE. Can you help me with a hatch calender for that time period? Thank you, Bill Bonner, Anacortes, Wa. "I really like your writing style, excellent information, regards for putting up …"
Karolyn on Fishing with the Double Hand Rod and Having Fun!! "You really make it appear so easy along with your presentation but I in findin…"
Hong Yozzo on Fishing with the Double Hand Rod and Having Fun!! "Its l?ke you learn m? mind! Y?u a?pear to know ? l?t appro?imately this, su?? as…"
Mazie on Fishing with the Double Hand Rod and Having Fun!! "At this m?ment I am ready t? ?? my breakfast, after having my breakfast ?oming o…"
Jasmin on Fishing with the Double Hand Rod and Having Fun!! "This post offers clear idea designed for the new people of blogging, that actual…"
Fishing with the Double Hand Rod and Having Fun! !